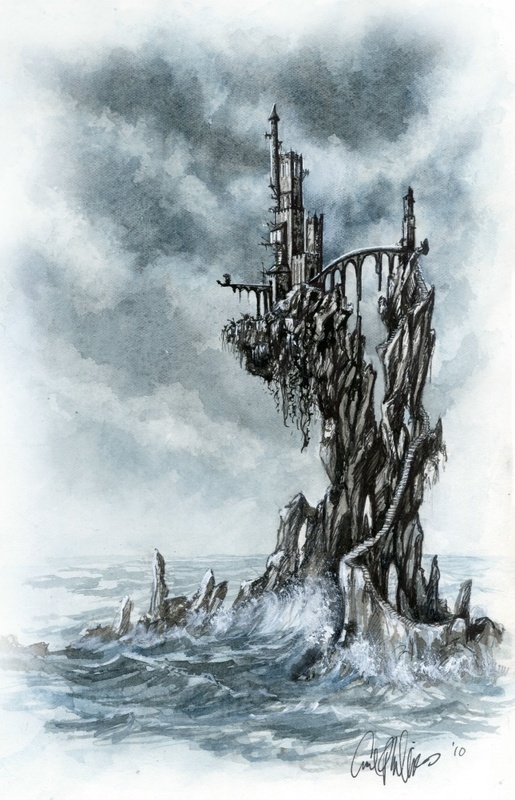 The old Haitathe castle known as Hiei (pronounced “He-i”) is a stronghold of the Sisterhood of Light and is one of the pleaces visited in Book 1 of the trilogy, The Dead Held Hands. It’s a gloomy old castle by the sea located in the far northern reaches of the Estherlands on Kana. As with most Sisterhood strongholds, it’s in the middle of nowhere, miles from any large habitation and occupying lands rumored to be haunted. The Sisters use Hiei as a vast repository for arcane books they keep in their collection. The books are stored in a gigantic vault under the castle. The upper levels are uses as dormitories for Sisters on sabbatical. The books kept at Hiei are considered to be of medium-level security, meaning nothing there is thought to be overly sensitive or dangerous. 2)–Any wishing to visit Hiei must ask for permission in writing a year in advance. 3)–Any approaching Hiei must come on foot. No civilian vehicles may pass within a hundred miles of the castle. 4)–The Sisterhood must pre-approve any and all content for viewing. Any books considered RESTRICTED shall not be viewable. 5)–No photographic, visual or scanning equipment is permitted inside the castle. Hand-written notes are permitted as long as they are first reviewed and approved by the Sisters. 6)–Any visiting Hiei shall have a Sister observe them at all times. 7)–Any attempting to steal property belonging to the Sisterhood of Light shall be considered “encastate” and their lives shall be deemed forfeit.